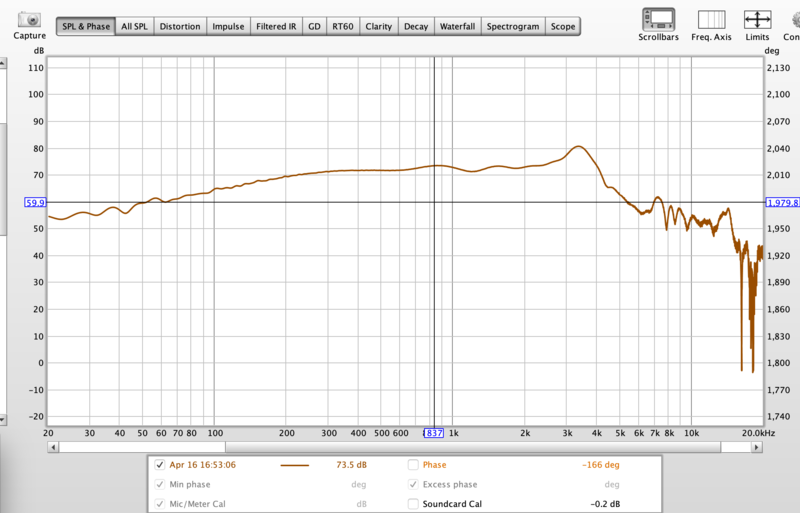 So I'm still struggling with freq measurement. Seems can't use anechoic chamber, outside is almost impossible, I decided to do somehow indoors in my flat. Through this clip you can see how he measures ground plane and farfield. If you want, you just measure it like he did and i'll merge the responses if that's too complicated for you. My friend and i bought a battery (for motorcycles i think), a cheap D class amplifier and used my laptop with usb powered soundcard that has phantom power for mic. First we did a quick check of the amp linearity indoors comparing it to our amplifiers. Since we got the same frequency response, we took it outside. Few loudspeakers were measured at the basketball courts and car parks last summer. Most of it was after 23:00h because of background noise. But we did get some great results. Last edited by Zvu; 15th April 2019 at 08:49 PM. I do not have any friend in town who would be into anything like this, I do not have ladder, I do not have car, I do not have anything like this as I live in a city where I only can keep what I use daily basis. So yes for those who have access to these kind of things, this way would be the easiest way. But I don't that is why I'm looking into other measurement ways like ground plane measurement. Also people claim these are the best measurements what you can do. And also do a ground plane measurement in the parking lot under my building. After these we can compare the different result and hopefully get something out of it. If we not, then I think I have to give up this for a while. What frequency ranges should I use on the drivers to not damage them? Try to get the gate as lower as you can. It is doable and we will merge it a bit higher - hopefully at around 200-250Hz. What software will you be using for measurements ? As for sweep frequencies, on tweeter you can use 300Hz-20kHz without any issues and use 20Hz-20kHz for woofer and midwoofer. Last edited by Zvu; 16th April 2019 at 06:47 AM. This is the level of resolution of raw drivers i was able to achieve in room 2.6 m high and 14 sqm surface with my LS50 . 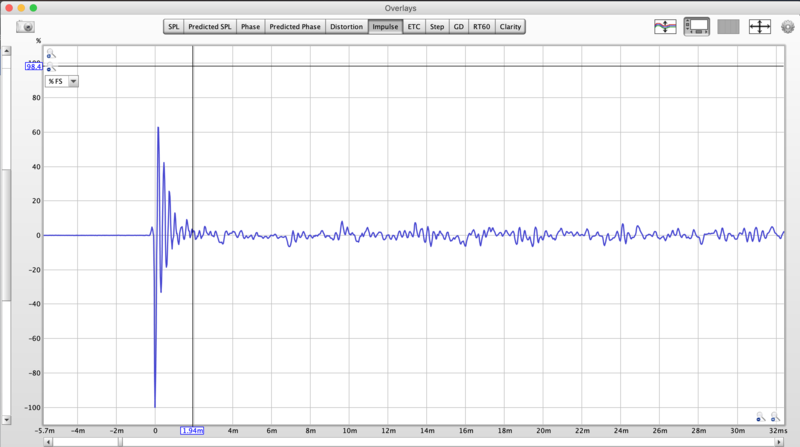 Measurements on axis, 1m distance, calibrated ECM8000 and M-audio Fast Track USB. If you can make it like this, then we can merge it at 220-250 hertz. Last edited by Zvu; 16th April 2019 at 06:49 AM. That looks sick man! Now I just have to go out and buy two cajons and a speaker stand haha. This doesn't look right... Perhaps my mic is too loud, and my speaker volume is to low? What are you measuring there, whole cabinet with factory crossover or one of the drivers ? It looks like a woofer to me. The best way to check where the first reflection is, is tweeter impulse response. I set the gate using tweeters impulse response as a guide. With woofers (especially Kefs) impulse response looks like a mayhem so knowing where is first reflection in tweeter, i move gate frequency up to where the tweeter is and then nudge it a bit. It usually end up as slightly shorter gate (for example, if tweeter frequency response looks good with gate of 4.2ms for wooofer it is usually 4ms). When i find it for woofer, then i use that same amount of gating for tweeter and mid. I'd recommend using Holmimpulse or ARTA for measuring. This is the woofer without crossover.